Unemployment is a major problem of Pakistan and millions of Youngsters are having trouble in finding good jobs even after getting good degrees with good marks. There are many reasons due to which Youngsters are not getting proper Jobs and one reason for it is that they don't know the proper ways to find Jobs in Pakistan. Today i will be telling various ways to search for better Jobs according to your education and experience. 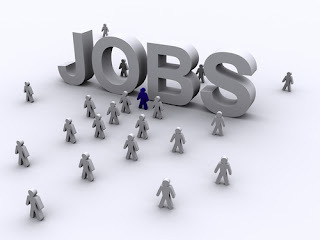 There are many Pakistani Jobs Website that can help you in finding Jobs. Sites like Rozee.pk, olx.com.pk can really help you in finding Jobs. Social Networking sites are also helpful to find Jobs. Not just you can find Jobs through Internet but there also many internet jobs that you can find like freelancing, Blogging etc. The second way to find out Jobs is to check Newspapers regularly specially the Sunday Newspaper where lot of Jobs are posted regularly. lot of Jobs Fairs and other such events keeps on taking place in big cities. These can help you in finding Jobs. Recently a Job fair was held in Expo Center Lahore. you can get Jobs by Referrals of people who knows you. Another good way to find a Job is to offer your services for free at start. These five ways can really help you in finding Jobs for yourself in Pakistan.